Posted on November 10, 2017 at 8:49 pm. Mother-in-law loves Chinese food, so it was a given that we regularly ate at or got take-out from Chinese restaurants here in Naga. However, it was only recently that we discovered that Hoyeh is so much more than meets the eye. Apparently, they offer authentic Chinese dishes that are not so easy to come by in the more mainstream Chinese restaurants. So yesterday, we tried Hoyeh’s Chinese food. 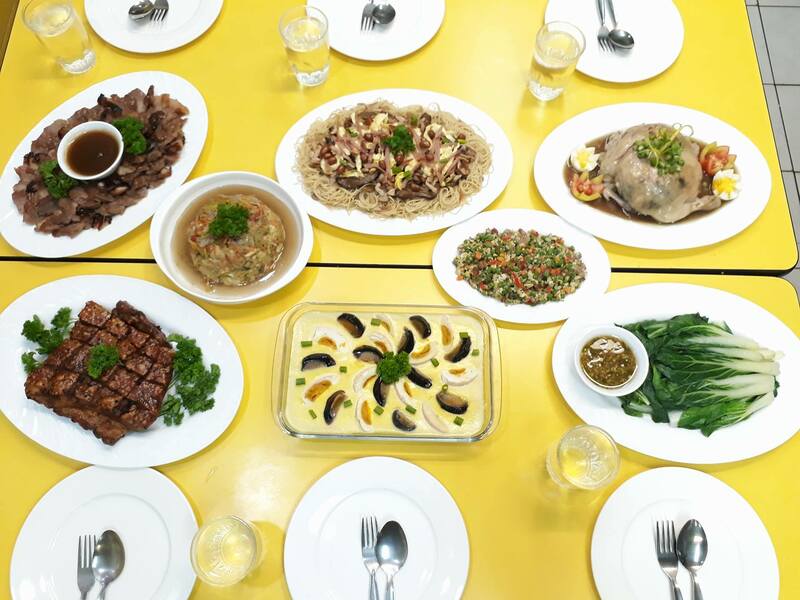 We have already tried their most popular fare: Buttered Chicken, Pancit Guisado, Chiffon Cake, and Cassava Cake. We’ve even had a taste of their Quiampong and Maki. So we thought it was time to sample what Hoyeh considers to be their best Chinese food. And oh, boy, what a revelation that turned out to be! We were served Crab Meat Fuyong, Qu Misua, and Lo Mai Kai. There were also authentic Hong Kong dishes: Char Siu, Steamed Three-Way Egg, and Steamed Pechay. Then there were house specialties (Hoyeh’s very own) Turbo Lechon, and Hoyeh Beans. We couldn’t have asked for a better table. Every dish was special on its own, but all of them together was a masterpiece. Every dish complemented the others, and it was a feast indeed. I’m not going to make you wait any longer. Here’s the lowdown. I had great expectations for Lo Mai Kai; after all, I’ve heard it mentioned every time we went to Hoyeh. But it actually surpassed all of my expectations. It was just that good! Lo Mai Kai is stuffed chicken. Think stuffed turkey. Lo Mai Kai is the Chinese version if stuffed turkey were chicken (that makes a weird kind of sense somehow). It’s not really Rellenong Chicken, but that should get you thinking in the right direction. Lo Mai Kai is a steamed dish. 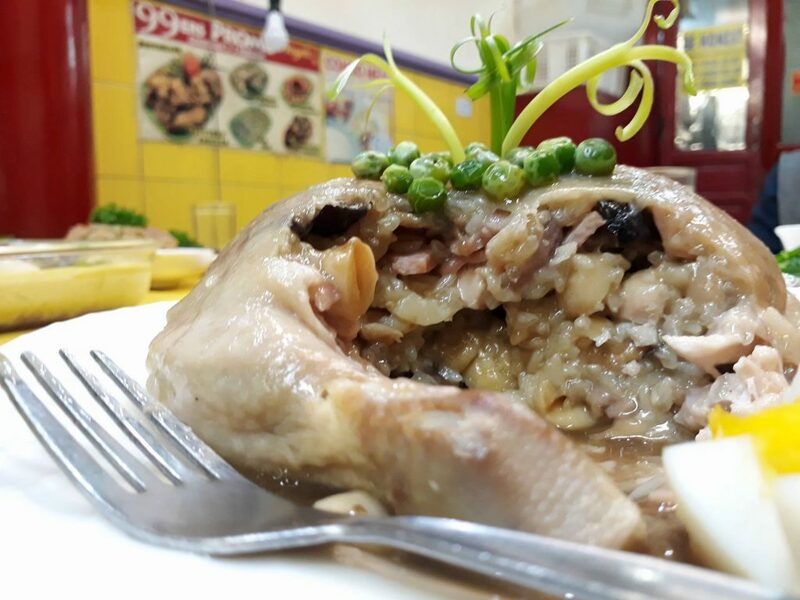 It is stuffed with glutinous rice, chestnuts, cashew nuts, lotus seeds, and shiitake mushrooms – among others. And how does it taste? Divine! I kid you not. It was sticky, savory, and full of flavor and texture. The meat was super-moist, I loved it! Truly, the Lo Mai Kai tasted really, really good; it has therefore landed on my list of fave chicken dishes. Note: If you’re thinking of trying it out for yourself, just remember you need to order this at least one day in advance. Turbo Lechon is exactly what you think it is. It’s pork broiled in a turbo broiler. 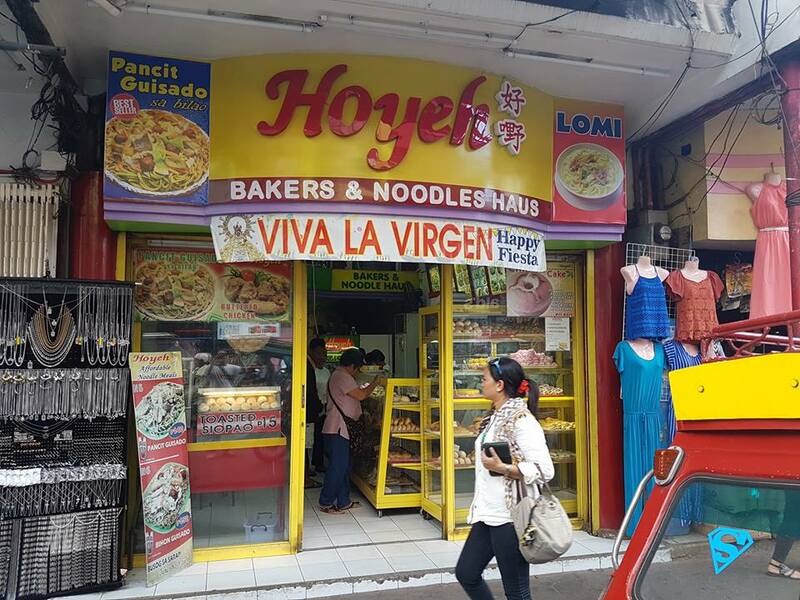 It’s Hoyeh’s version of Lechon Macau. Look at that delightfully crisp skin! There’s just so much “chicharon” my husband couldn’t stop raving about it. 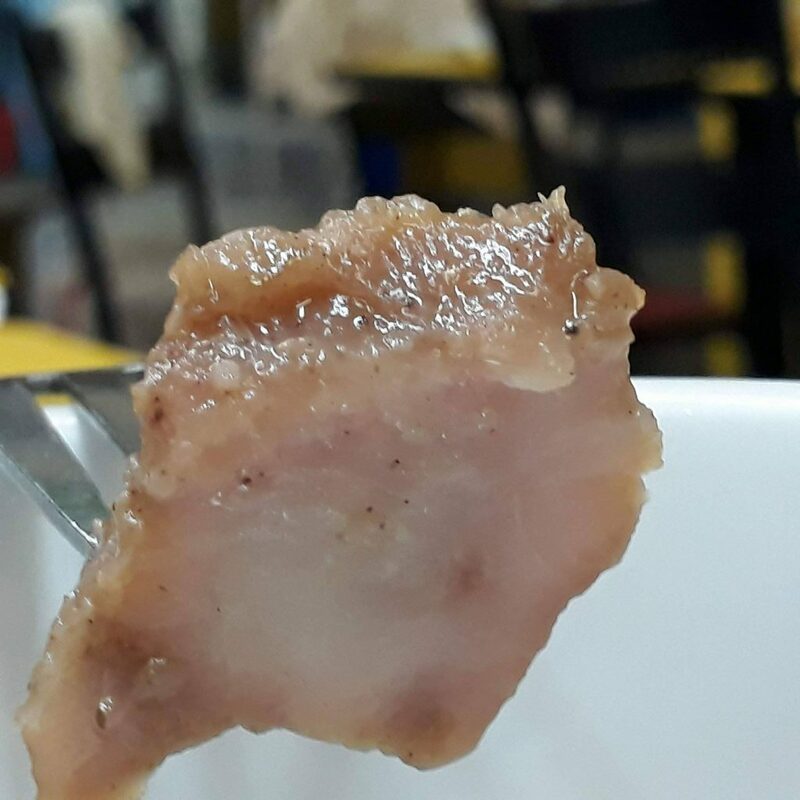 Look at it after being cut into bite-size pieces. 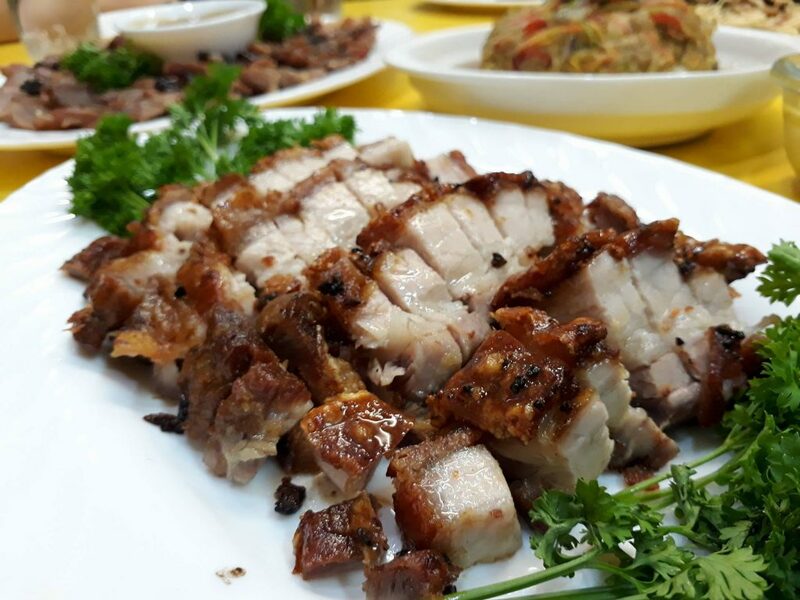 The meat is moist and tender – just the way lechon should be. And it tasted delicious, owing to the overnight marination it has undergone. You don’t even need lechon sauce; it tastes great on its own. Note: Turbo lechon must also be ordered in advance; as mentioned above, it needs to be marinated overnight. 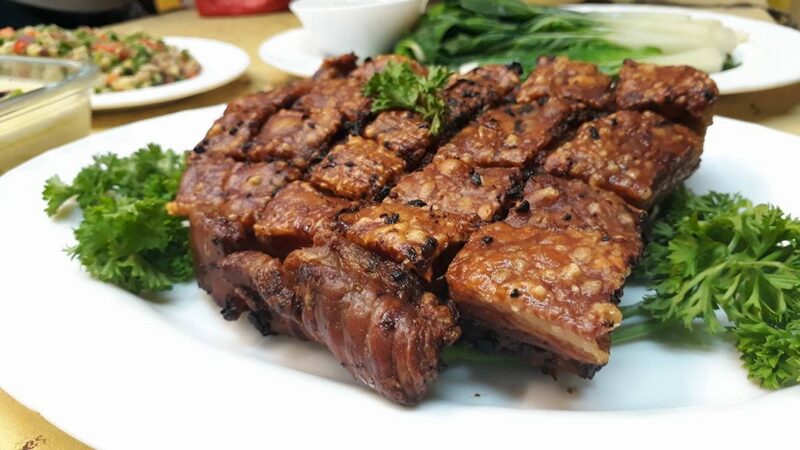 Char Siu is Hong Kong Asado. It’s Chinese-style Barbecue. 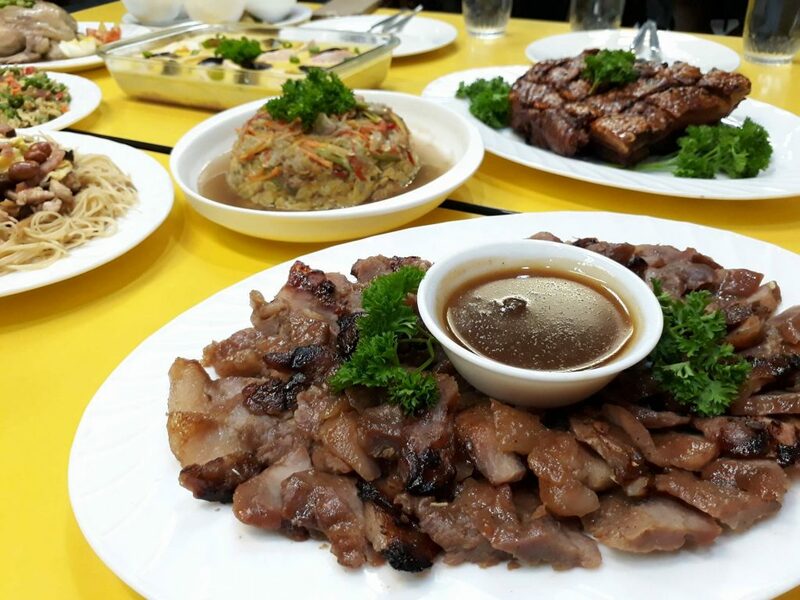 If you love pork barbecue, asado, hamonado, and tocino – you’ll love Cahr Siu. If all of the above got married and had a baby, it would be Char Siu. The Char Siu tasted like pork asado, but it had a bit of charring. It was also slighty sweet, so it was a bit like tocino in that sense. And the meat was silky, soft and smooth – like ham. Just yum! Note: Char Siu must be ordered in advance. At least 15 ingredients make up this dish, and it has to be marinated overnight. This is Hoyeh’s very own string beans dish. Apparently, the family matriarch invented the dish to get the kids to eat vegetables. As mentioned earlier, it’s mainly string beans sautéed with ground pork, chorizo, carrots, and bell pepper. To the moms out there, if you want to get your kids to eat more veggies, try Hoyeh Beans. It has a robust, chorizo flavor I’m sure your kids will love. I brought some home to my nephew; he said he loved it – despite knowing it was made with string beans (and he really doesn’t like vegetables). 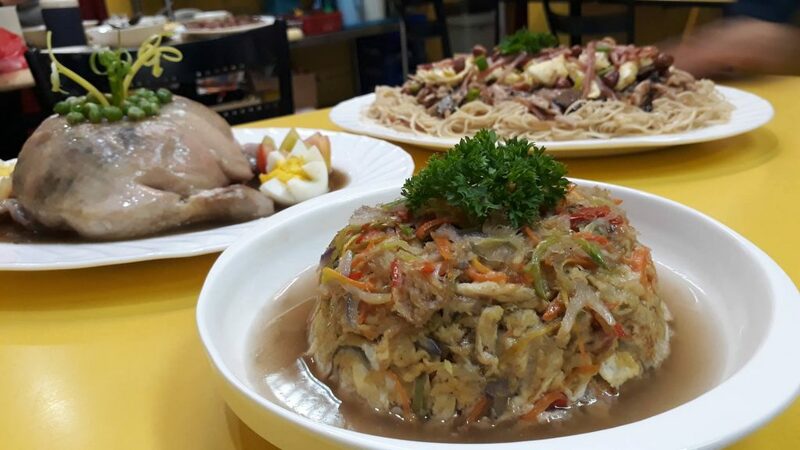 A different take on birthday pancit is what this is. If you need a noodle dish to celebrate birthdays, this definitely fits the bill. Qu Misua or Birthday Misua is supposedly a Fookien Dish originally. 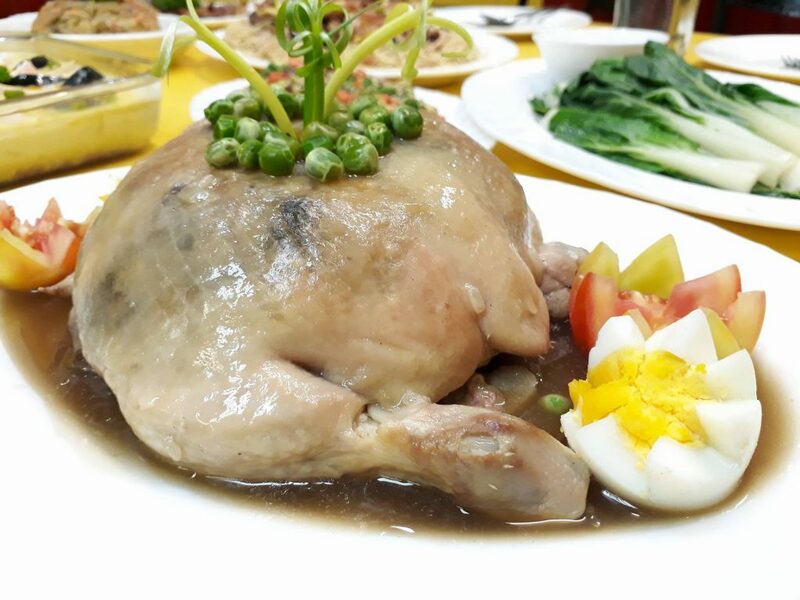 Its main ingredient is special egg misua; it says “Birthday Misua” in the packaging – thus the name of the dish. 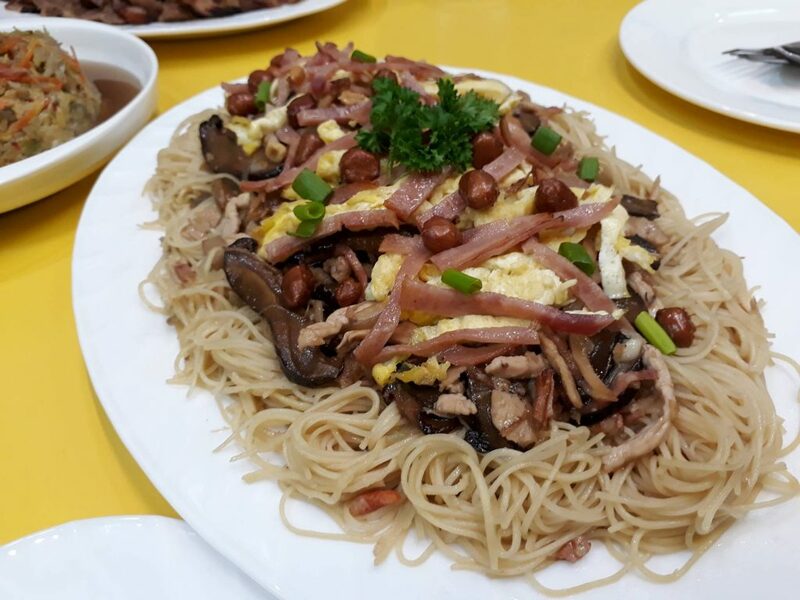 Toppings include chicken, pork, dried seafood, and mushrooms. And then there’s Crab Meat Fuyong. It’s definitely a dish for a person like me who loves the taste of crab meat but is less enthused about the prospect of digging for such meat. It is for this reason that I, often than not, choose some other seafood over crab. Hoyeh’s Crab Meat Fuyong did not disappoint. It was meaty and yummy. 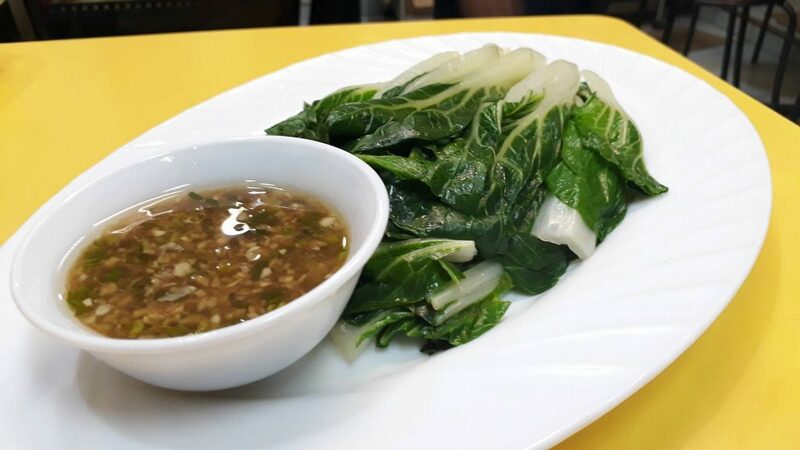 And as expected in a Chinese restaurant, the pechay was steamed to perfection. It was crisp, fresh, and wholesome. And the sauce that came with it just brought the whole dish to a whole new level. And then there was the Steamed Three-Way Egg. 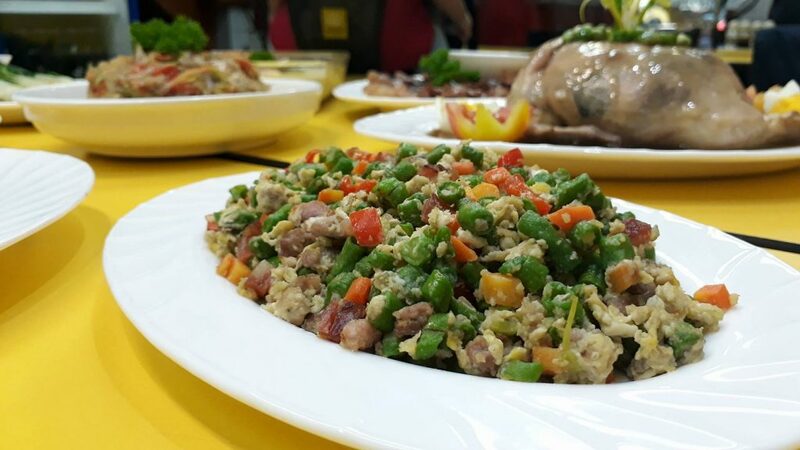 This is made with chicken egg, salted duck egg and century egg (thus the three-way modifier in its name). Unlike the rest of the dishes, this had a far more subtle flavor. It was mainly its texture that made you come back for more. But there’s a reason for this. 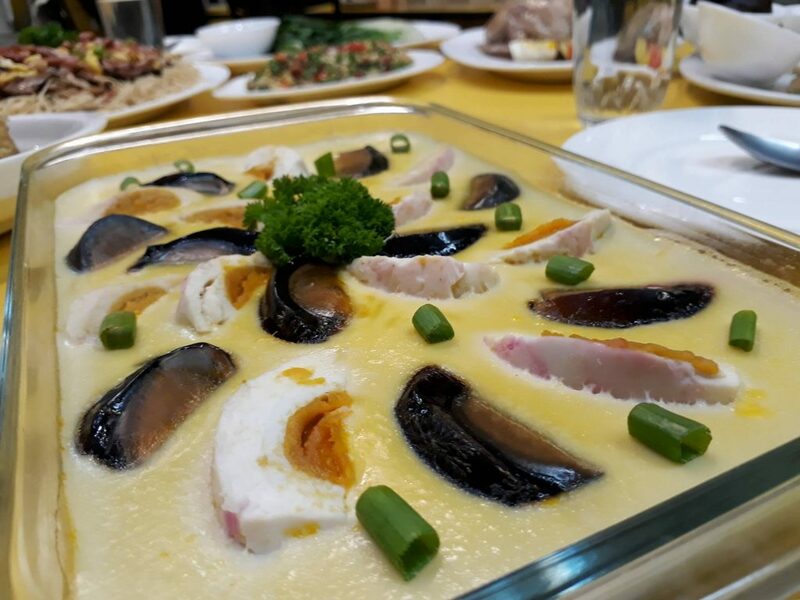 In a feast like we had yesterday, the Steamed Three-Way Egg dish serves a specific purpose: it offset all the richness of the rest of the Chinese food on the table, therefore making perfect balance possible. 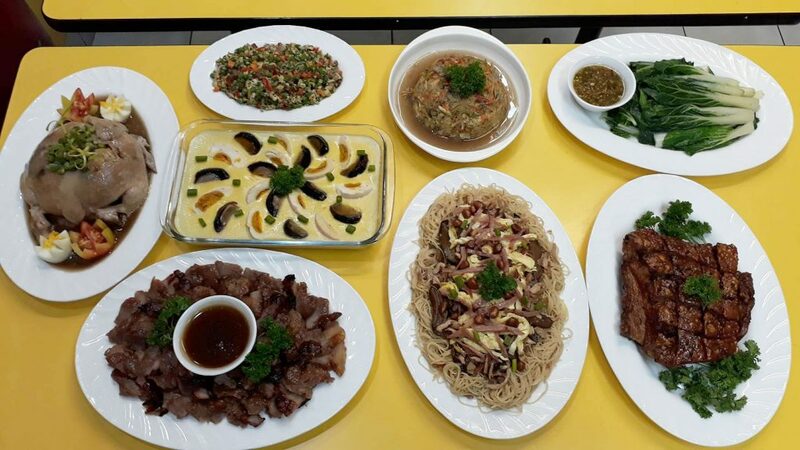 To sum up, we tried several of the special dishes served at Hoyeh Bakers & Noodles Haus. Did we like it? We loved it. It was the perfect Chinese food spread. If you’re celebrating something anytime soon – Christmas, birthdays, anniversaries – get this exact same table / combination of Chinese food. They just go so very well together. Very well written. Crispy & Tasty. Makes me hungry.